Here is a tip that I received about ESP debt settlement software. The tip was sent to me at click here. If you have a industry tip, send it in. I just wanted to give you a nugget of insight on the ESP product. You are definitely on to something. This group is swaying companies right and left to join in the face of the fears of coming regulatory actions and the promise that they can avoid it by selling “software” instead of DS. The “software” company providing this is P & E Solutions, right? That actually stands for Passero and Ellis. Kevin Ellis and Anthony Passero are behind it. ESP debt settlement services came to my attention through a previous article and you can read that here. ESP also came up in conversations with some regulators last week as well. Now I know I’ve come across Anthony Passero before but where? Oh that’s right, he was the CEO of Lifeguard, (source) the company that turned into Safetrust Financial after facing a lot of consumer complaints. See this article. 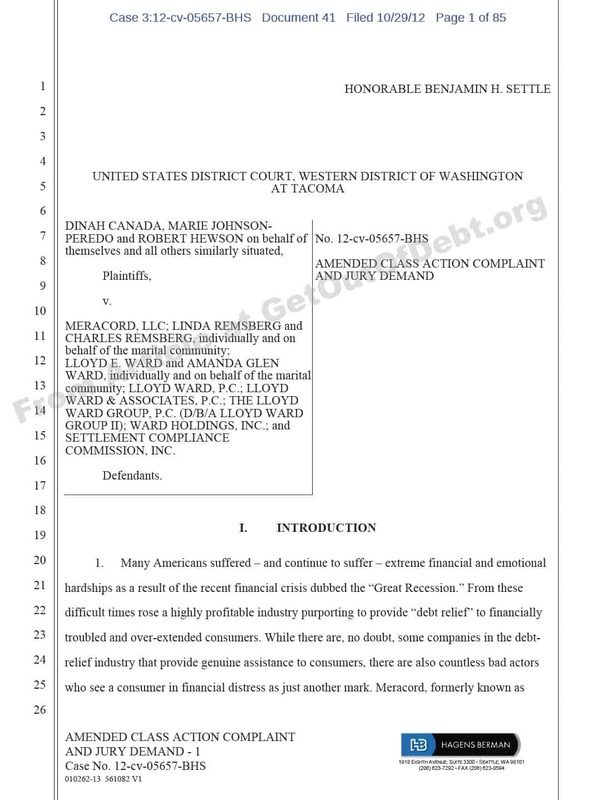 Lifeguard is a for-profit debt settlement company which claims it can eliminate consumers’ debt by negotiating settlements with creditors for a percentage of the consumers’ outstanding debt. Lifeguard tells its customers to stop paying their debts and, instead, pay money into an account controlled by Lifeguard. Lifeguard, like most debt settlement companies, collects thousands of dollars in fees from its customers before it even contacts and of the consumer’s creditors. Lifeguard, like most debt settlement companies, often leaves the customer in far worse shape that he or she was before contacting Lifeguard. As detailed below, Lifeguard finds its customer and makes millions of dollars off of them by engaging in a variety of illegal practices. It violates the federal Fair Credit Reporting Act and California Consumer Credit Reporting Agencies Act by purchasing confidential consumer credit reports under false pretenses – by wrongfully representing to credit reporting agencies, including Experian, that it has a permissible purpose to obtain these reports. Lifeguard then uses the confidential information contained in these illegally obtained reports to solicit consumers in hopes of convincing them to enroll in Lifeguard’s lucrative debt settlement program. P&E Solutions is a software provider for debt settlement clients and companies. We have just launched the newest innovation in the industry of debt settlement. That innovation is ESP (Expert Settlement Professional.) Expert Settlement Professional system is a revolutionary new technology which empowers the consumer. Expert Settlement Professional, also known as ESP allows the process of Debt Settlement to be fully automated between the client and the creditor. As per the client signing their license agreement for the ESP system, all of the information contained within their contract is transferred to Expert Settlement Professional. Once transferred, ESP immediately initiates contact with the creditors on behalf of the client. A Cease and Desist Letter and a Settlement Proposal will be automatically sent to client’s creditors. ESP acts as the client’s “arbitrator” by aggressively sending out settlement proposals. ESP becomes more aggressive as the consumer accumulates funds in their savings account. The intermediary’s relationship with Expert Settlement Professional System is simply remarkable. Creditors will be provided access to ESP and be able to view all accounts which have been enrolled into the program. Creditors will have the capability of accepting, declining and/or submitting counter offers through their ESP online account. In addition, creditors will have the ability to pull accounts and do bulk settlements. It appears that P&E Solutions is attempting to say they are not selling debt settlement services, just software but the description of the “software” on their own site sure makes it sound like a debt settlement service. In fact the description of the service provided by Phillips Financial they were selling as debt settlement service sure sounds awfully close. And there is the issue that ESP can negotiate with the creditors of the client without further consent of the client. Call it software as much as you want but it appears ESP is acting as an engaged agent of the consumer on behalf of a front end marketer. The agreement also makes the typical debt settlement provider disclaimers. If it was a software only product, wouldn’t that be the responsibility of the debt settlement company or is the veil of “software” only? It appears to be nothing more than a disguise to try to sell people it’s not debt settlement services when it acts as the agent of the consumer, has a staff of people that are players in the system and negotiates your debt for you. READ Intertwined Safe Trust Financial, Vertexsoft, and P&E Solutions All File Bankruptcy. Blame FTC. And then there is the issue that the ESP service costs 15% of the debt enrolled. Software costs $495 or some other separate and nominal amount, not 15% of enrolled debt. And then there is the fee splitting issue. ESP says in their description below “re-directs harassing inbound calls from creditors and collectors to our Law Firm”. So their law firm is going to represent consumers? Here is how the P&E site describes the Expert Settlement Professional Software. Expert Settlement Professional system is a revolutionary new technology which empowers the consumer. Expert Settlement Professional, also known as ESP allows the process of Debt Settlement to be fully automated between the client and the creditor. Should a creditor decline a proposal or submit a counter offer, ESP will automatically generate a new proposal that will be sent to the creditor and continue to drive negotiations. Once a creditor has accepted a settlement proposal then the consumer will direct their escrow account to satisfy the outstanding debt. Only the client can direct payment to any creditor. This keeps the consumer’s money secure. The client will have access to view negotiations as it occurs. The beauty of our system is that the client never loses control of the process. The consumer will be able to conveniently create changes to their account. Such as adding creditors, changing their address and updating their banking information. ESP will recognize these changes immediately and automatically update the Cease and Desist Letters, Settlement Proposals and payment information. Creditors will be provided access to ESP and be able to view all accounts which have been enrolled into the program. Creditors will have the capability of accepting, declining or submitting counter offers through their ESP online account. In addition, creditors will have the ability to pull accounts and do bulk settlements. Traditionally debt settlement is a difficult, time consuming and cumbersome process. What we love about Expert Settlement Professional is that it modernizes the debt settlement industry. This system is both user friendly to the creditor and the consumer. ESP system provides the luxury of having all communication with the creditors viewable and fully automated. Should the client need further assistance, ESP is supported by FBL Associates Law Firm. Each client will receive an independent contractor attorney in their state for legal guidance. Lastly, Pre-Paid Legal Inc. will provide up to 60 hours of Attorney court representation for each client. All of this value will be provided at no additional cost to the consumer. Self help program with a secure log in access that guides the client through the settlement process. Automatically generates settlement proposals to creditors in attempt to satisfy the outstanding balance. In some cases offers sent as low as 20%. Provides Creditors and 3rd party agencies access to view and submit offers on client’s accounts, as well as complete settlements in bulk. Cease and Desist letters are automatically sent to all enrolled creditors/3rd party collection agencies. Daan Module – Debtor Activated Account Notification System. Free for the first 90 days. Lottery Give-a-away in which a client will be eligible to win $10,000 credit that will be paid towards client’s unsecured debts! DAAN MODULE: re-directs harassing inbound calls from creditors and collectors to our Law Firm. It appears that since the corporation has been dissolved it creates a contract nightmare for any service provider that is selling the services or customer using the system. You would just think that if this company is a major player they would at least keep their business registration in force and not allow it to be cancelled by the State of Florida. I think I understand the sales pitch for ESP but it walks like debt settlement services, quacks like debt settlement services, looks like debt settlement services; it’s debt settlement services in my opinion. My bet is it will get closed down like everyone else when new regulations come into force. @7750366daf2419d77fd79c890f5031bd:disqus Unfortunately what you are now experiencing is the all to typical “run around” that most of these guys do when they don’t have an answer for you because they collected most of your money as fees and the little money you have left is not enough to settle any accounts.Â Essentially there is nothing they can do until you have more money.Â Of course if you had more money, you could work something out with the creditor directly. As far as where to go from here, I can’t answer that for you unless I was more familiar with your situation. Should you quit the program and try and get some of your money back?Â Should you stay and hope for the best? Well, only you can make that call, but if they are promising things and then a week later claiming there are no notes regarding the conversation, I would certainly have major reservations about putting my financial future into the hands of such incompetence. @7750366daf2419d77fd79c890f5031bd:disqusÂ Ok, if you are not getting the results you want and feel that continuing with that program is not going to be in your best interest, let me know and we can talk about the different options and figure out the best way to proceed from here. I went back and reread your comment.Â It doesn’t sound like you have a lawsuit filed against you but only some debt collector threatening to sue.Â If this is the case, the situation although still needing to be addressed is not as imminent. If you have a lawsuit filed against you and it is set to default in 5 days, whoever you spoke with at P & E is not going to be able to smooth this over with the creditor in such a short amount of time, unless you have the money available to possibly settle the debt. Sounds to me that they are just in damage control mode and she told you whatever she needed to tell you to placate you, but I doubt she can change the course of the judgment, or will even try if you don’t have the funds available to settle. May I ask why bankruptcy is not an option for you?Â I am not saying you should go file, but the more I know about your situation, the more specific help I can provide. Steve, thanks for your reply but bankruptcy is not an option for me.Â I just cannot do that.Â I contacted the bank that deducts the payments and they put me in contact with a lady at P & E.Â She said she would contact this account for me and explain so I would not get a judgment filed.Â Hopefully this will work.Â She also gave me updated phone numbers where I could contact her directly.Â I pray this is so.Â Thanks again for your help. Sadly I think you need to read this recent article that talks about how the companies surrounding and sold ESP are closing in bankruptcy. If I knew for certain which company sold you access into the ESP software I could give you specific advice on their status. ESP is the software program they sold. Unfortunately, you and many others will probably wind up filing bankruptcy to deal with your remaining debt and close that financial chapter of your life. Steve, thanks for your reply but bankruptcy is not an option for me. I just cannot do that. I contacted the bank that deducts the payments and they put me in contact with a lady at P & E. She said she would contact this account for me and explain so I would not get a judgment filed. Hopefully this will work. She also gave me updated phone numbers where I could contact her directly. I pray this is so. Thanks again for your help. May I ask why bankruptcy is not an option for you? I am not saying you should go file, but the more I know about your situation, the more specific help I can provide. I went back and reread your comment. It doesn’t sound like you have a lawsuit filed against you but only some debt collector threatening to sue. If this is the case, the situation although still needing to be addressed is not as imminent. @7750366daf2419d77fd79c890f5031bd:disqus Ok, if you are not getting the results you want and feel that continuing with that program is not going to be in your best interest, let me know and we can talk about the different options and figure out the best way to proceed from here. @7750366daf2419d77fd79c890f5031bd:disqus Unfortunately what you are now experiencing is the all to typical “run around” that most of these guys do when they don’t have an answer for you because they collected most of your money as fees and the little money you have left is not enough to settle any accounts. Essentially there is nothing they can do until you have more money. Of course if you had more money, you could work something out with the creditor directly. As far as where to go from here, I can’t answer that for you unless I was more familiar with your situation. Should you quit the program and try and get some of your money back? Should you stay and hope for the best? Well, only you can make that call, but if they are promising things and then a week later claiming there are no notes regarding the conversation, I would certainly have major reservations about putting my financial future into the hands of such incompetence. I AGREE 100% …. DO IT ON YOUR OWN…. this group is a scam… they are only taking your money. I am surprised that Pre-paid Legal is a part of this scam. You must be from P&E or ESP – the services offered for debt settlement/ consolidation are a sham. I have seen a number of people who got into much worse financial problems because of these people. The government should shut these guys down. It is a scam. Once they have your money the telephone numbers are changed and you can’t contact them. DO NOT FALL VICTIM TO THESE GUYS… IT IS A SCAM!!!!!!!!!!!!!!! It absolutly amazes me how someone can obtain your information and call and offer you a program such as ESP did with us. We were not behind in our bills, made the monthly payments and were doing fine. I checked this company out with the BBB and did my research and yet, we were still scammed. Everytime I tried to fax something to them, I got a message that the number was no longer in service. When I called, they made up some excuse that their phone lines were messed up. None of my letter’s were actually sent to our creditor’s and now, just like others, we are being sued by one of our creditor’s–time will tell how that will end up. We have managed to settle with 2 of the creditor’s and paid off one of the other’s once I stopped the direct withdraw by NoteWorld. Please make sure that anyone you know or come in contact with NEVER does business with ESP or any of their affiliates. to get money, When I made this response I wasn’t familiar with the different filings. Since this isn’t my job I’m sure that the Attorney which they seek will be able to assist them with the individual filings. Pitty thy self, since you display so much hatred. Shirley do ou hve ayidea what ou just said? A Chapter 11is for businesses. I fee sorry for e peple yo”say” your helping. Yuave the adasity to pitcdh them som other program that you dont even know how BK works? You’re a joke!! Good afternoon. Bankruptcy is an option only if you having nothing to loose such as a house car and other personal property. Bankruptcy laws have changed as of 2005, get a free consultation with an attorney first. Best option in my opinion is to go with an attorney that is bar certified in the field of credit card debt litigation; they can legally have your debt eliminated and many of then will go after the debt settlement/ consoladation companies that are holding your monies hostage. Take a look at FTC.gov and review some of the new rules re: debt collection practices and how credit card banks and settlement can or can not do business with the consumer. i don’t understand how vital is going to help these people. since my lay off i have found out so much that makes no sense what so ever. the day before the lay off we were asked to sign an confidentially agreement. now here we thought we were signing something to protect this new software he is trying to launch since he claims an investor gave him 1 million dollars to launch it. and the next day it was straight cut throat. the software is a lie because not once did i log in to that program and saw where the correct letters were being sent out. and the ones they claim were suppose to be sent out has the worst grammar i ever heard. a few days ago I find out this man was not even suppose to be in practice his service since 9/2009 … i also was told by a former co worker that he is being investigated by the FBI and they were there on the day before we got let go. i am so frustrated as the more and more crap i find out about this man and his family running the business. i wish there was something i can do legally to help put a stop to these scam artist. What is the new venture called? Why is the software a lie? Check this out! Steve your points on how to obtain your fees back seem to have worked. I literally took the list of agencies that you suggested contacting and informed P&E Solutions that I’d follow through including a small claims case if I did not receive my refund IN FULL. According this, I am getting a refund.. Lets see when it happens now. We have reviewed [the] file and complaint to the BBB. Just for clarification purposes Noelle did not sign up with a “debt settlement” company she subscribed to an Automated Debt Settlement Software called ESP. This software follows advanced algorithms based on the subscriber’s debt and program term and automatically sends proposals to creditors on behalf of the subscriber. 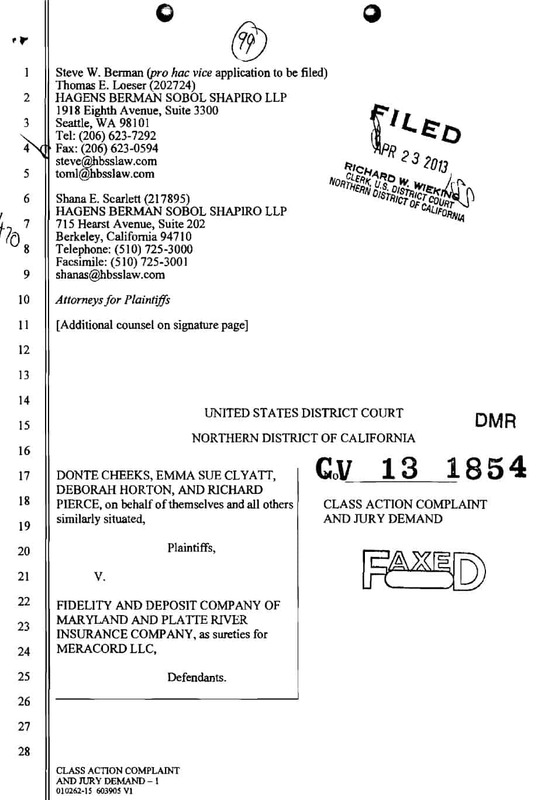 It is unfortunate that during Noelle’s time as a subscriber to ESP she was presented with a suit from Sears, however included in her subscription Agreement to ESP it does state that subscribing to this software does not stop creditors from filing lawsuits on unpaid debt, that something of this nature is a possibility. As part of her subscription to the software ESP provides court appointed legal defense should the subscriber be summoned to court. Included in the subscriber’s monthly installments there is a percentage that covers the cost of the actual subscription, this was also disclosed in the agreement Noelle signed. At anytime Noelle also had the option of logging into her online account in which she can view the proposals that were sent to her creditors, including Sears, therefore which provides her with tangible proof that contact was made with her creditors in attempt to negotiate her debt. I wished to inform you that last fall I became a client of the above program. I enrolled with the understanding that I would be making a certain amount of payments to an escrow account and in tern this agency would work on settling my debts. I wasn’t behind on my cards but was going to be soon and started working with Expert Settlement Professionals and P&E. I submitted all my docs, got my account set up with Noteworld and blammo.. $312 a month for 18 months would “get you out of debt”. It’s been 8 months since my original date of start up. 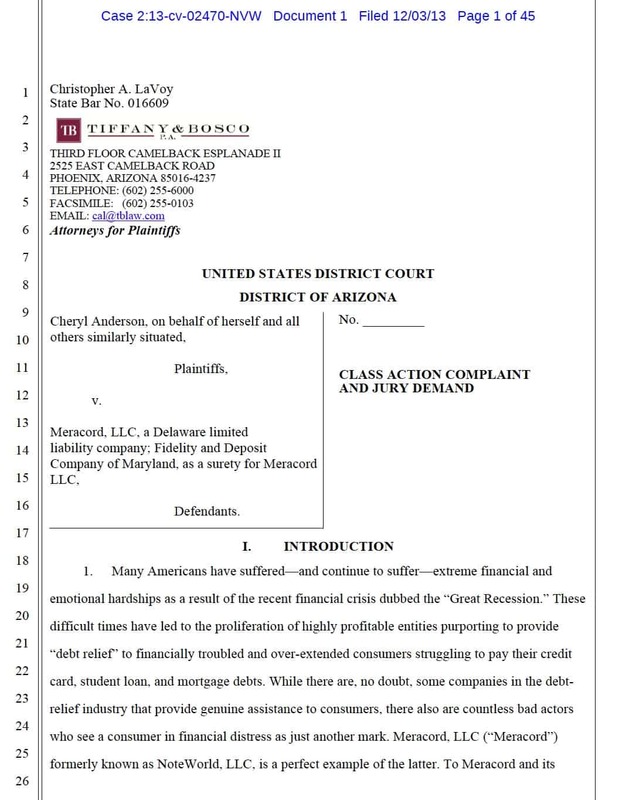 I have found none of my creditors have been contacted, I also found that one of my creditors were about to serve me with suing for debt owed to Sears. I called the above P&E Solutions and they advised me.. “when you get served, fax over your summons and we will take care of everything.” I didn’t have faith in this company and in fact I did not feel comfortable with that answer at all. I took it upon myself to call all 5 of my creditors. personally. It took the better part of an afternoon. What I found was nothing had been submitted to them in offer or otherwise. I found that they were all too wiling to settle and myself I was able to secure an agreement for 30% of actual debt on one card specifically.. and they will restore my credit rating as a met obligation! Imagine, I have work ahead of me… since I plan on doing this alone. Looking at doing the legal route in attempt to get my fee’s back. I understand that there is a signed contract, but this agency did not actually provide any service to me. I have 5 creditors that have also said that same, and they were mostly all to willing to work with me..
Save your money, do it on your own. I suggest you follow my process on how to go for a big refund and let me know how it works for you. Keep me updated here in the comments. I just sent off my certified letter outlining to the “T” what you suggested minus the BBB. I already contacted them. I plan on following through on this and if need be, I will go on to small claims. This service did nothing for me….. cease from contacting letters were sent by me, not this company… printed letters of settlement were printed by me, not sent by this company as they claim. I called them today, after 12 attempted calls, the 13th one finally landed a live person to answer… the others were “disconnected”. I find myself in the same position that you find yourself in. Unfortunately for me I have been filed against in court and when I contacted ESP for the legal service I got a nice letter stating that they could not give me legal advice and that I would need to obtain my own lawyer. Then they stated that they settled one account and now I am finding out that the account was never paid and there is a major issue shaping up. When I have called it is interesting how long you are on hold and then how often you are put on hold when talking to them, then finally the disconnect. They are such a joke. I am looking at the legal process against them also. Things were in good standing at one point and now I have a bigger miss then I would ever have had if I did not go with Lifeguard and ESP. I recommend nobody does anything with this company. Steve thank you for your work on this, I just wish I would have read it before I ever got involved with this group. Any advice would be welcomed. As far as ESP goes you may want to look at my article, How to Get Out of a Debt Settlement Program and Get a Big Refund. If you’ve been sued and you are in a debt settlement program, it is probably now time to really think about bankruptcy to kill the debt and the suit. I have to disagree here Steve. Yes, it is a debt settlement service but I don’t see this software being shut down by the powers that be. It’s almost the perfect alternative for settlement company’s to sell and those in need to use…assuming it works as well as it claims. This puts the responsibility, action and drive on the consumer instead of having a company to blame for all bad that can/may/does occur when using a settlement company. Putting the consumer in the driver seat (so to speak) will create a sense of ownership and that will sell my friend. It always amazes me how whenever Lifeguard, Safetrust Financial and now ESP has negative information listed about them how someone always comes to their rescue. This article was clearly very well researched in that I have found all of this same information by searching the internet. It seems that not only are these people very savvy in their marketing of consumers but also seem to have no business ethics. I wonder if they are the same company listed in in this press release http://www.pr.com/press-release/227769 . I know Anthony Passero and he is a scam artist who always dresses in a suit to portray a professional business man to all but mean while he is a joke in a suit who wears all fake watches as the rest of all the guys in his company, who all speak suave’ as they indeed are all scam artist trained by him. LIFEGUARD FINANCIAL and in all his companies are all money making scams off of innocent people who just made wrong debt decisions and these people are happy to put you in even more debt as they charge you some high fees every month. CONFIDENTIALITY is a must when they hire you as then they train everyone that works for them to also be scammers. HIS COMPANIES NEED TO BE SHUT DOWN. He is robbing all these people who are in debt, acting like they are helping them but in reality they make tons of money EACH MONTH off of these poor people, who are just trying to get out of debt, but don’t know any better. KARMA is real and I look forward to the day they shut down his companies and lock him up and all that work for him and pay back all these people what in reality they are stealing from every single month. Oh and watch their shredding skills, as they like to dispose of any type of evidence quickly and have false files. JUSTICE NEEDS TO BE MADE HERE BY GETTING RID OF THESE CHARACTERS AND IT WILL SOONER OR LATER.